It’s the time of year when we, as hip, in-the-know parents, look into the latest toys and games as we ponder our holiday gift purchases. When it comes to giving our children something both fun and educational, looking to tried-and-true classic board games like Monopoly, Clue and Chess may be our best move. 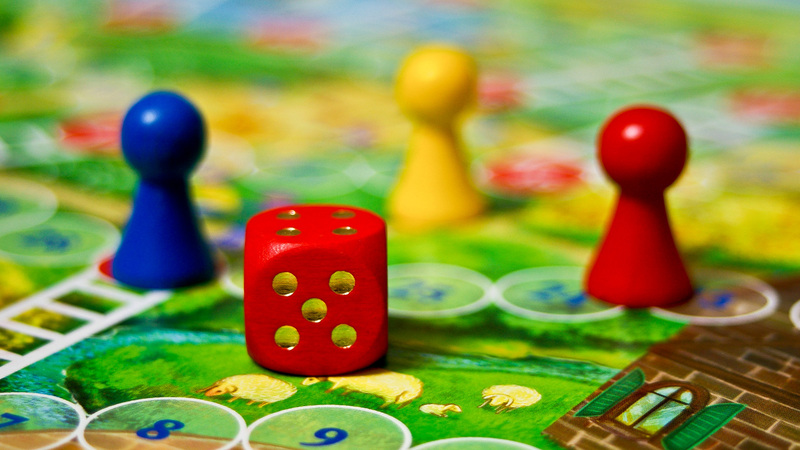 In a perfect world, our children would veer toward activities that are enjoyable and develop useful skills at the same time — many board games do just that. Hoping to build your child’s spelling and vocabulary skills? Dust off those Scrabble and Boggle boxes that have been tucked away on the top shelf since 2009. The foundation of both games lies in the ability to think of and spell words, often based off of other words already on the game board. Schools have long used Scrabble and Boggle to build language skills, and the National Scrabble Association provides lessons in word work concepts — like Latin prefixes — that can be downloaded and used when playing. Looking to build your child’s math skills and understanding of money, saving and investing? Look to Monopoly, Life and Pay Day. Children learn valuable lessons about money in a fun, and sometimes competitive, context. According to the The Council for Economic Education, economics is the most neglected area of study for school-age children. Games that use the concepts of cost-benefit, trade and interest rates can help children understand key concepts that will prove beneficial throughout their lives. Wishing for growth in your child’s planning and negotiation abilities? The games Risk, Stratego, Checkers, Chess and Sorry! all require critical planning and logical thinking skills. (Added bonus: Your children can hone their trash-talking abilities by playing these games as well.) The ability to inhibit impulses and plan with long-term goals in mind is key in academic achievement and in life. A critical foundation for all learning is the ability to solve problems and use reasoning. Games like Clue, Battleship and Mastermind hone these abilities when they ask players to systematically reduce possibilities to find the correct combination of events or coordinates. Logical sequencing skills are also used in Battleship when spacing “shots” on ships. When playing Mastermind, players use trial and error (hypothesis testing) and the resulting feedback to inform their next decision — these are skills used in scientific experiments. Learning how to take turns, play by the rules and lose — with dignity — are valuable skills. Young children can learn critical social skills and develop their ability to control their impulses using early childhood games such as Candyland, Mouse Trap, Memory and Chutes and Ladders. In addition to learning the social and emotional components of playing games, young children learn about patterns, sequencing, matching and cause and effect. Being able to convey ideas, phrases or facts — often within a time limit — builds both creativity and communication abilities. Games like Pictionary and Scattergories challenge players to quickly recall information and make connections between ideas, as well as communicate these concepts to others. Both games strip away the conventional, default methods of communicating and challenge players to try various options to get their ideas across. The ability to consider many solutions to one problem, and then communicate these ideas to others, is critical to academic, career and life success. Yet, these abilities are often overlooked by school curriculums, possibly because of their complexity. Yet, creative thinking and the ability to convey ideas to others are skills coveted by Fortune 500 companies. While the latest Wii games and modern toy-engineering marvels have their place in our children’s future as holiday gift recipients, classic board games can bring the family together for learning and enjoyment.